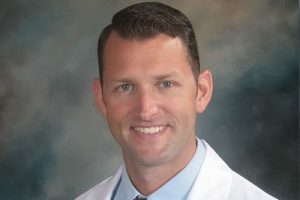 Dr. Ronald Clarke graduated from Elizabethtown College prior to earning his medical degree at Philadelphia College of Osteopathic Medicine. Afterwards, he completed his family medicine residency at Niagara Falls Memorial Hospital in Niagara Falls, NY. 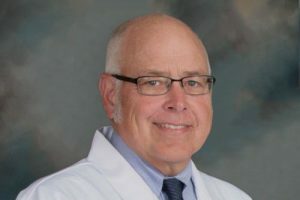 He has been proudly serving Niagara Falls and the surrounding areas as a family medicine board-certified physician for more than 30 years. He resides on Grand Island with his wife. He is an avid golfer and enjoys spending time with his grandchildren. Dr. Ryan Clarke completed his undergraduate degree at SUNY at Buffalo with a B.S. in biomedical sciences. He then earned his medical degree at Lake Erie College of Osteopathic Medicine in 2013. He completed his residency program at Sisters of Charity Hospital in Buffalo, NY prior to joining his father at Clarke Family Medicine. He is a board-certified family doctor. He resides on Grand Island with his wife and two children. He enjoys competing in Ironman triathlons, golfing, hiking, and camping. Becky completed her undergraduate training at Gannon University with a Bachelor of Science degree in 2004. She then earned her Master of Physician Assistant Science degree at Gannon University in 2005. As part of her student rotations, she trained in 8 different specialties, including a rotation she completed at Dr. Clarke’s office. 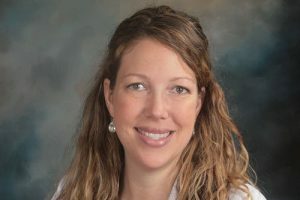 She is a board-certified physician assistant, and has been working at Clarke Family Medicine since November 2005. She resides in North Tonawanda with her husband and son. She enjoys playing volleyball, softball, and skiing. Call To Schedule An Appointment With One Of Our Family Doctors!